You’re on the Keto Diet and you’re working SO HARD to stay within the strict low-carb guidelines! 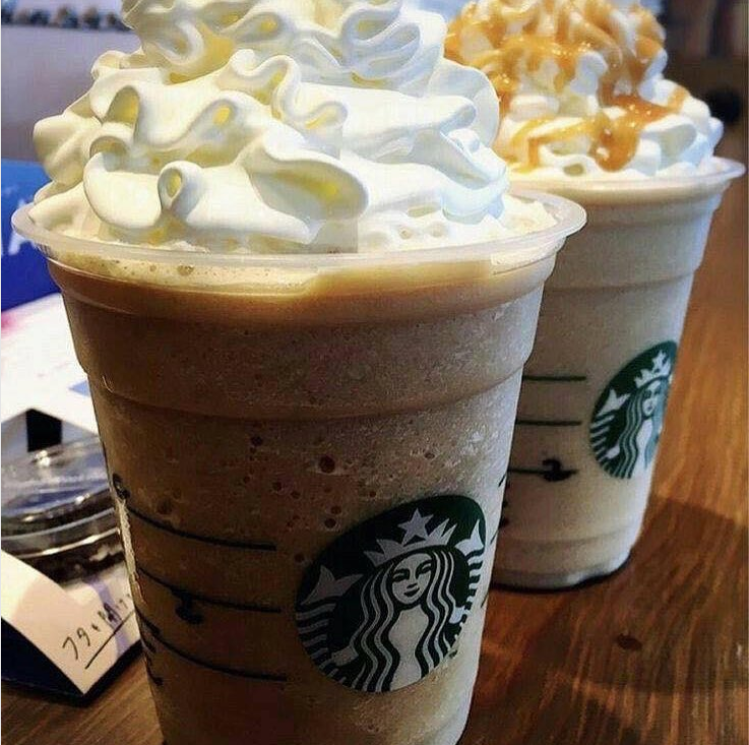 But you miss your delicious Starbucks drinks so much! And all those Bulletproof Keto Coffee recipes just aren’t satisfying you. Homemade just isn’t the same as Starbucks. No worries! 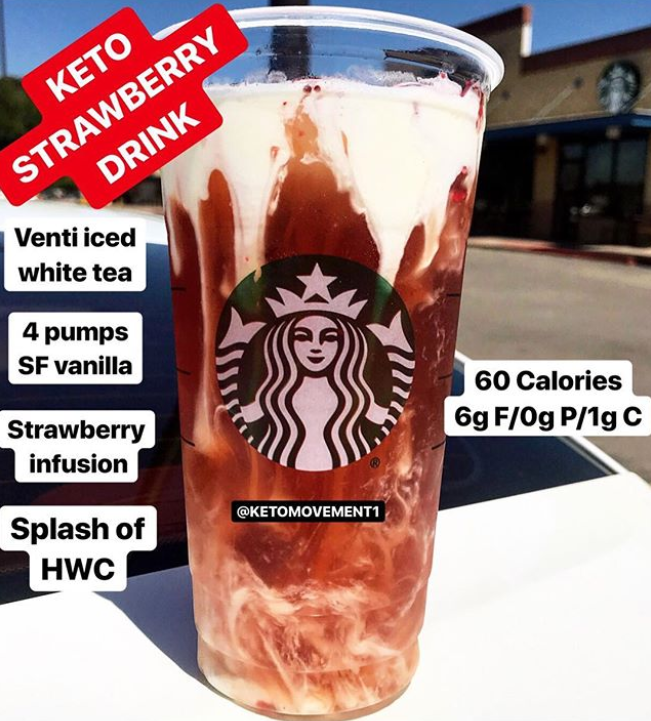 Starbucks actually offers a lot of drinks that are completely keto-approved! 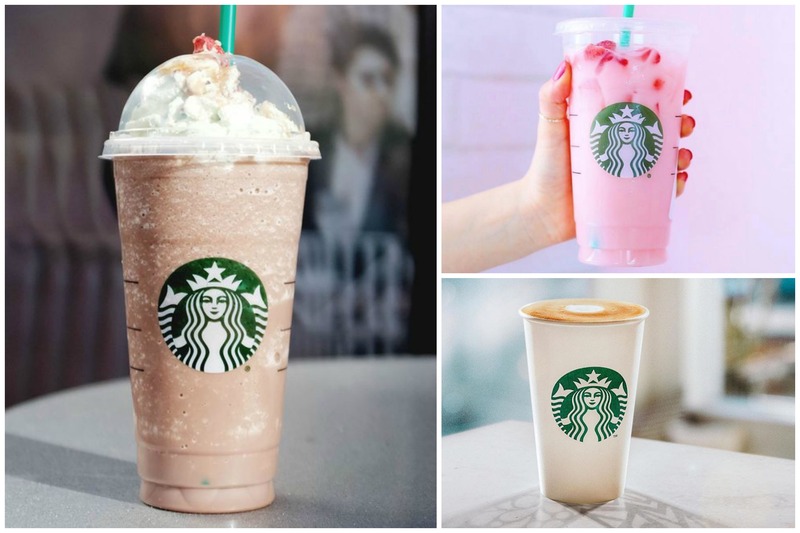 Below are 11 of the best Starbucks drinks that will help you lose weight on the Keto Diet. To make your order keto-approved, follow these directions! Make sure it says “No Classic” on your drink label. The classic syrup is just a bunch of sugar water! If you’re in summer mode, this drink is a MUST! 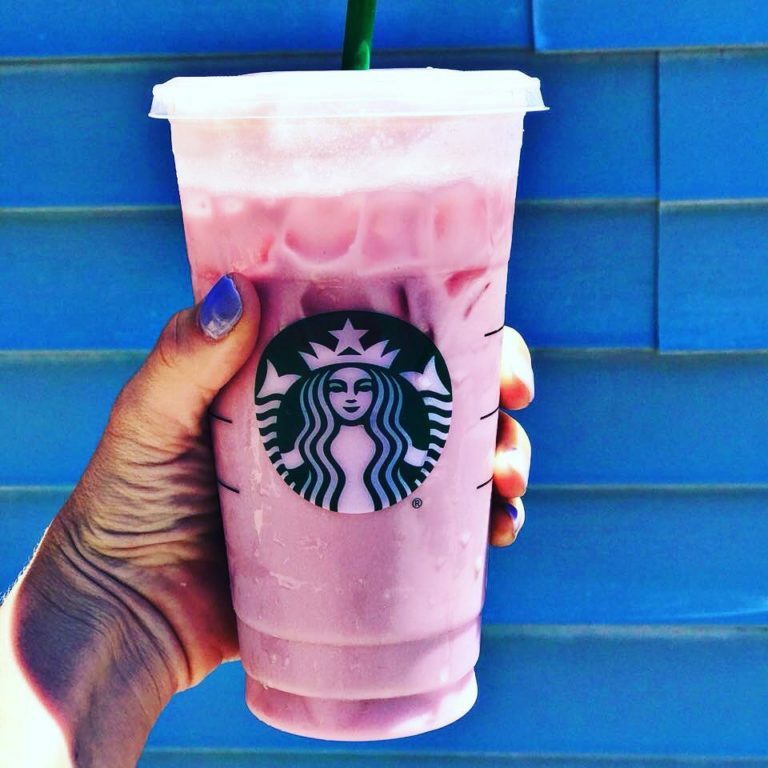 Order unsweetened passion tea with heavy whipping cream and raspberry lemonade ketones. Order 4 shots of Blonde Roast over ice in a Venti cup. Ask for 3 pumps of sugar-free Vanilla and 3 pumps of sugar-free Dolce. Then ask for a splash of heavy whipping cream. Specify that you do NOT want any base. 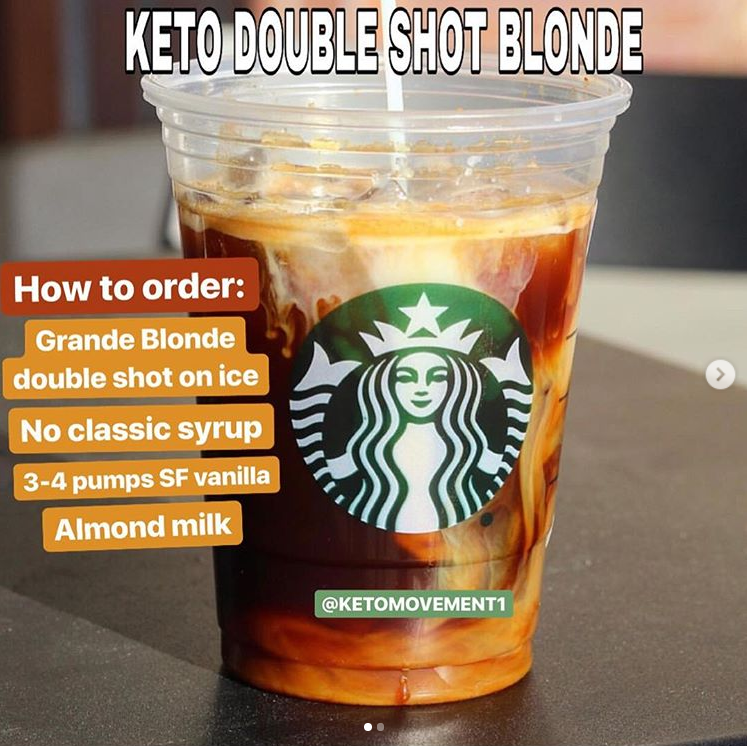 If you LOVE your Frappuccinos, these two recipes are about as close as you can get (on the Keto Diet). Option 1: Ask for a Coffee Light Frappuccino with half water and half heavy cream (instead of the nonfat milk). 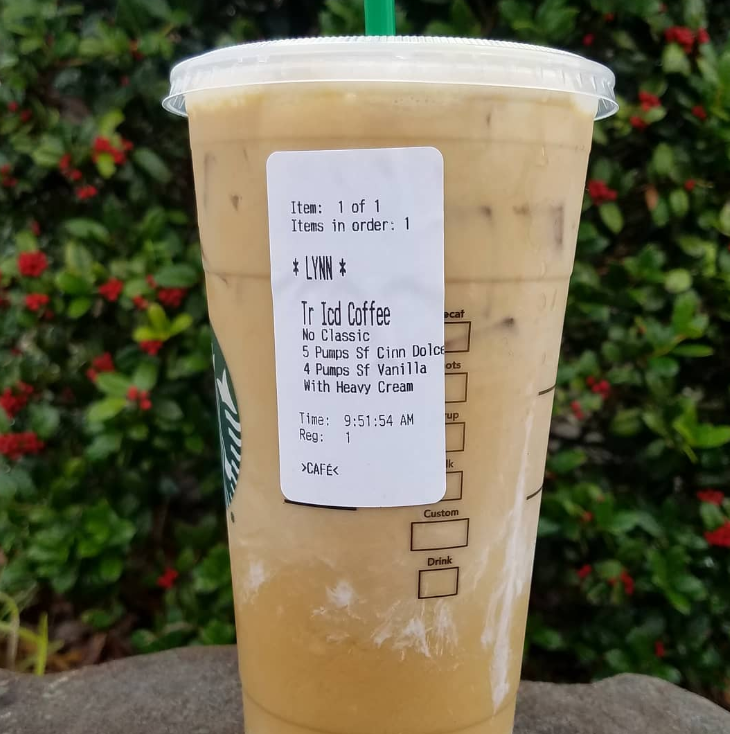 Option 2: Ask for a Sugar Free Cinnamon Dulce Light Frapucino with half water and half heavy cream (instead of non-fat milk). 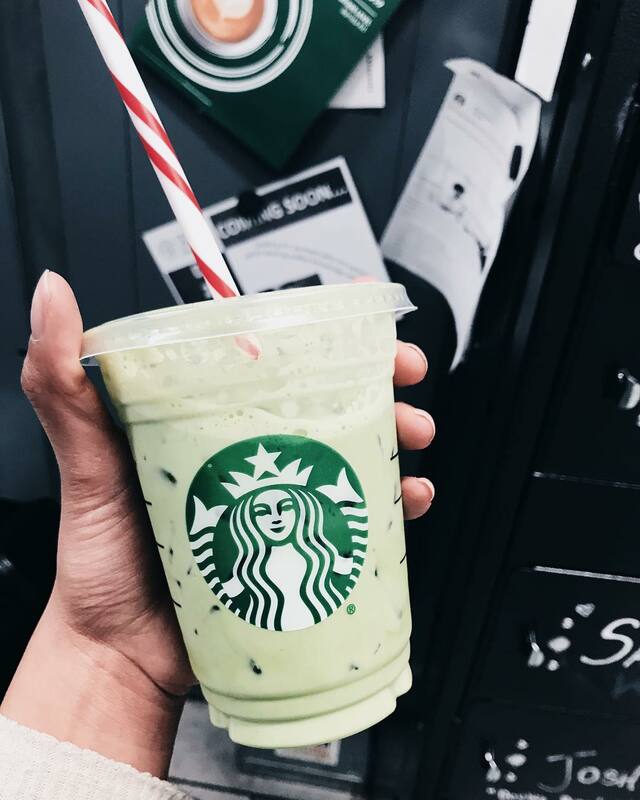 Order an iced matcha tea latte with no liquid cane sugar, extra water, breve/cream, and 2 stevias. In some places, matcha powder is always sugar-free, but always ask before adding it to your drink. 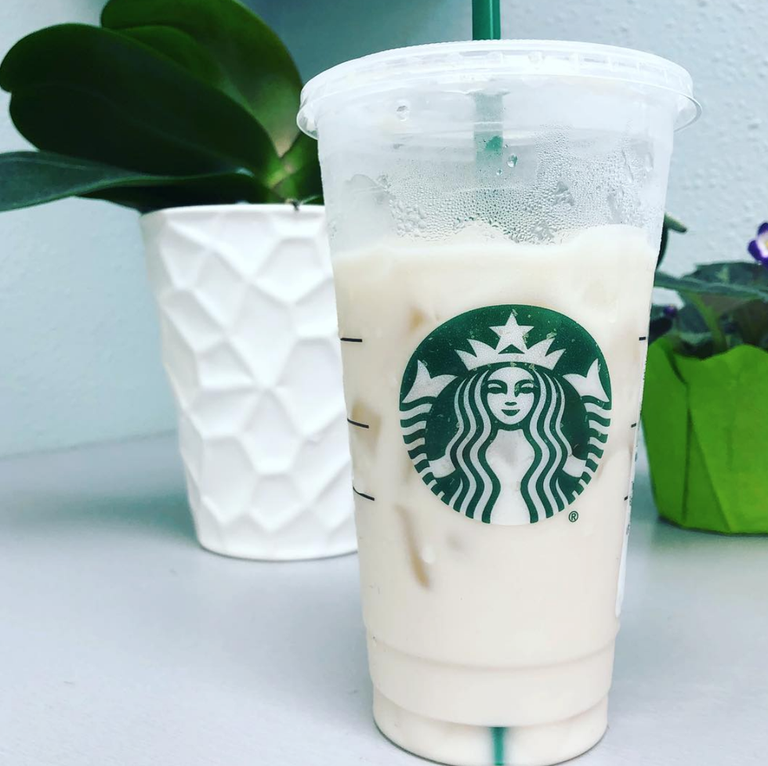 Order a venti iced white tea. 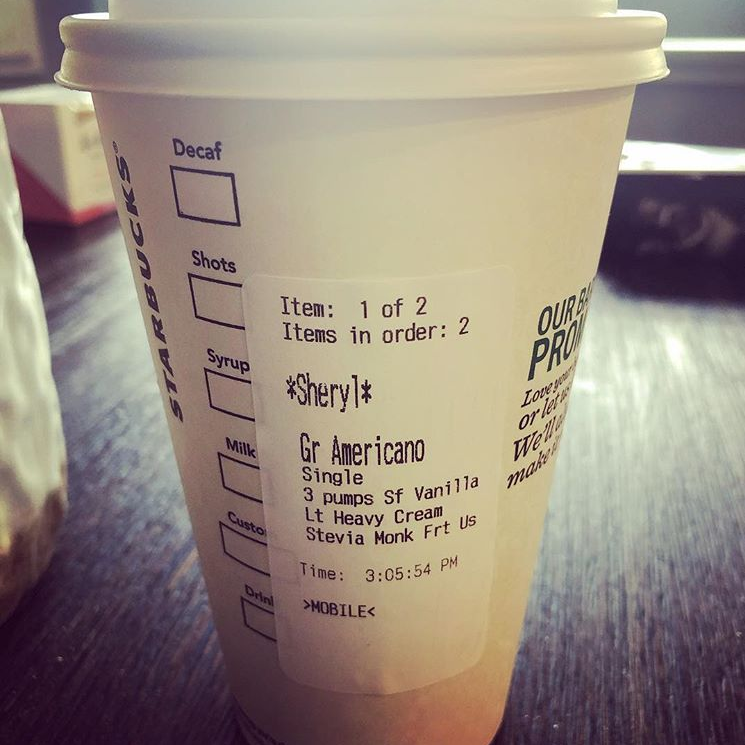 Ask for NO sweetener and 4 pumps of sugar free vanilla. Then request for strawberry infusion (this is tea). Ask for a splash of heavy cream. Specify that you just want a tiny amount. 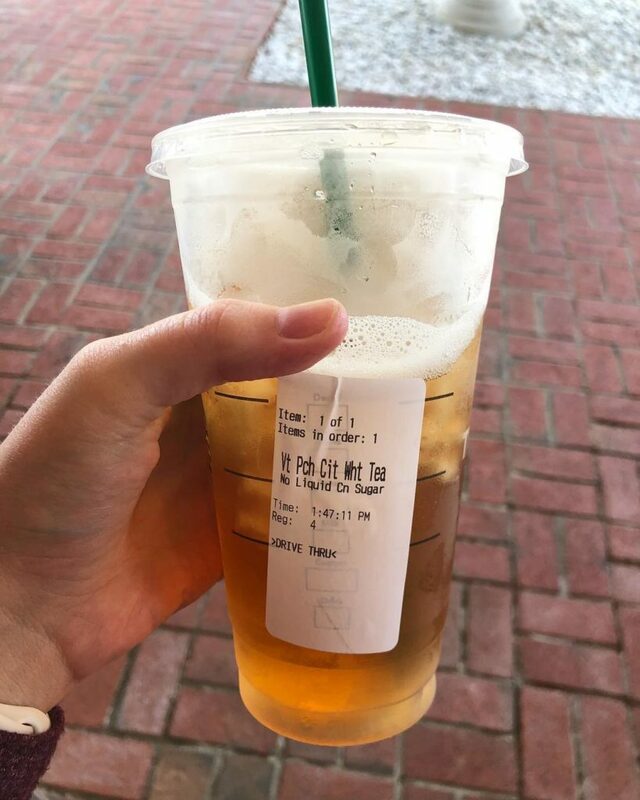 Ask for a venti peach citrus white tea. Specify NO classic and make sure it says it on the label. If you’d like to add some sweetener, add a half packet of stevia (1-2 carbs). Ask for a Venti, 4 scoops of Rooibos Powder, 6 pumps of sugar-free Vanilla with water, and a splash of heavy whipping cream. 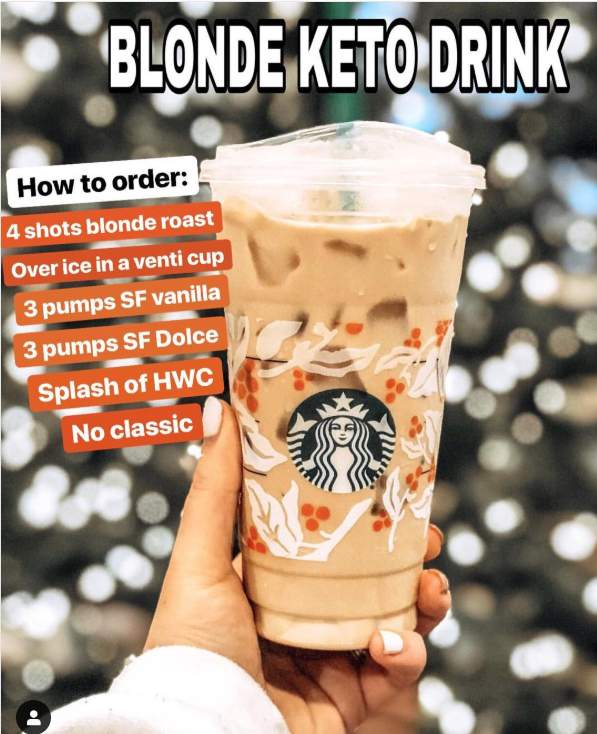 Order a Grande Blonde double shot on ice. Specify NO classic syrup and make sure it is on the label. Ask for 3-4 pumps of SF vanilla. Then ask for a splash of almond milk. Order an unsweetened peach citrus white tea with a splash of heavy whipping cream. Then ask for 2-4 pumps of sugar-free Vanilla. Specify no water and light ice. 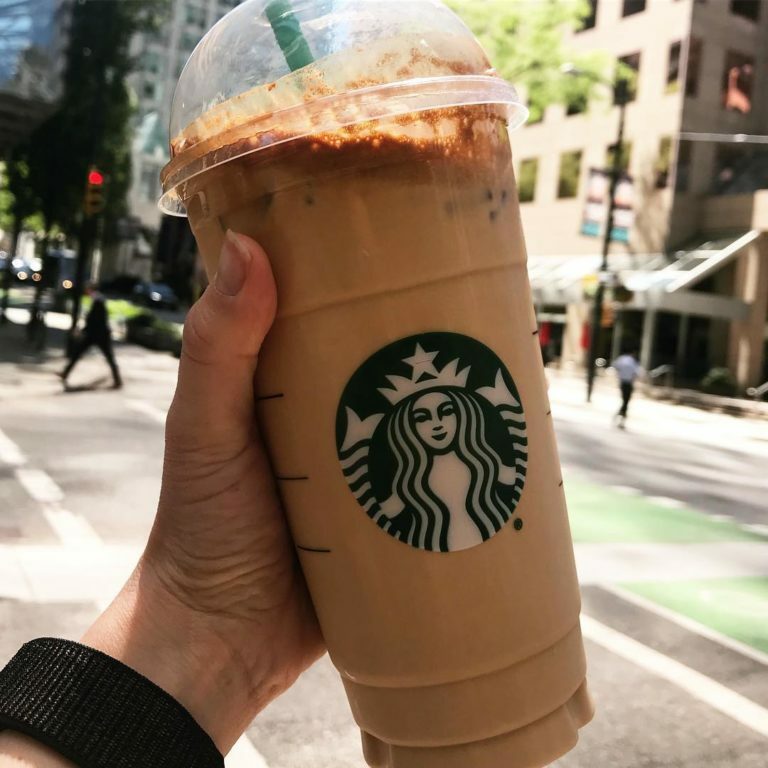 On the Keto Diet, you can still enjoy your Starbucks splurge. Imagine – drinking these delicious drinks AND losing weight. Dream come true!